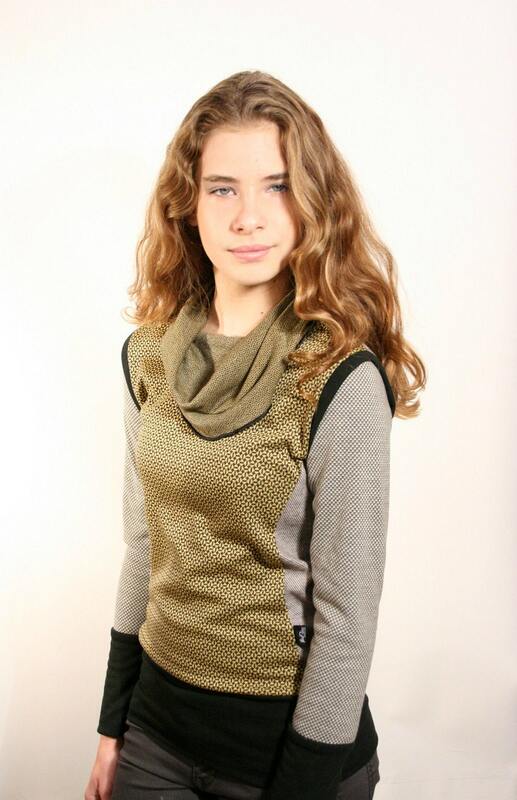 Geometric sweatshirt sweater in a patchwork design with cowl neck. 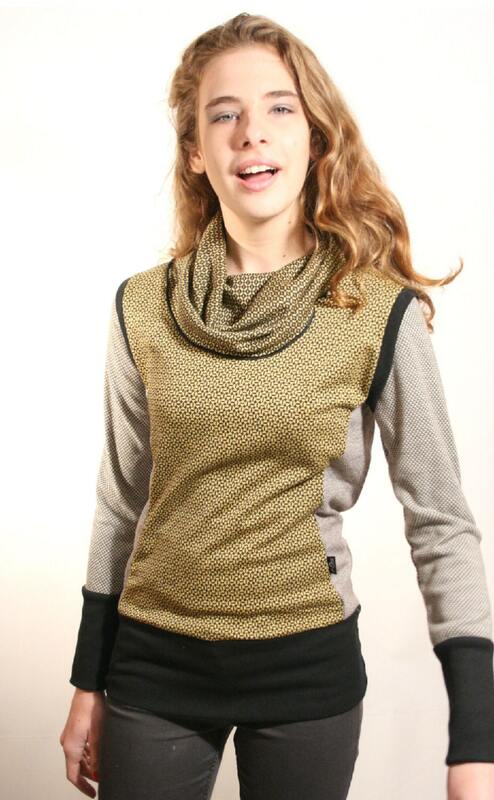 It combines 5 different yarn dyed aztec inspired materials in mustard yellow, black and stone beige. Mod sweater. Beautiful and unique. Thank you! The item is great. Ran a bit smaller than expected but overall good. Shipping took much longer than expected. It came late for the occasion.